W.B. Yeats famously remarked that Ireland after the Easter Rising was ‘changed utterly’. Few would dispute that he had a point, but how was it changed, by whom and at whose expense? to explore life in Ireland in the wake of the Rising. 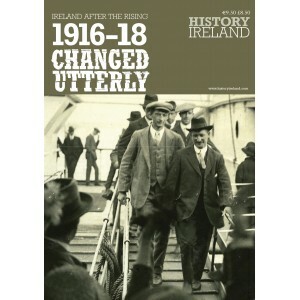 The years between 1916 and 1919 can often be overshadowed by more dramatic events, but these were years of profound transformation, as violent insurrection in Easter 1916 was transformed into a landslide political victory less than three years later, against the backdrop of an ongoing global war. From the funeral of Thomas Ashe to the Spanish ’Flu pandemic, and from living conditions and the human cost of the First World War to the growth of the cinema, this supplement will explore how Ireland was changed for ever in the years between the Easter Rising and the outbreak of the War of Independence.